Carolina has reached the ranks of the top five research universities in the U.S. for federal research expenditures, according to the latest National Science Foundation Higher Education Research and Development Survey. The University posted a record high for both overall research expenditures and federal expenditures during fiscal year 2017 — covering July 1, 2016 to June 30, 2017, the most recent year measured. 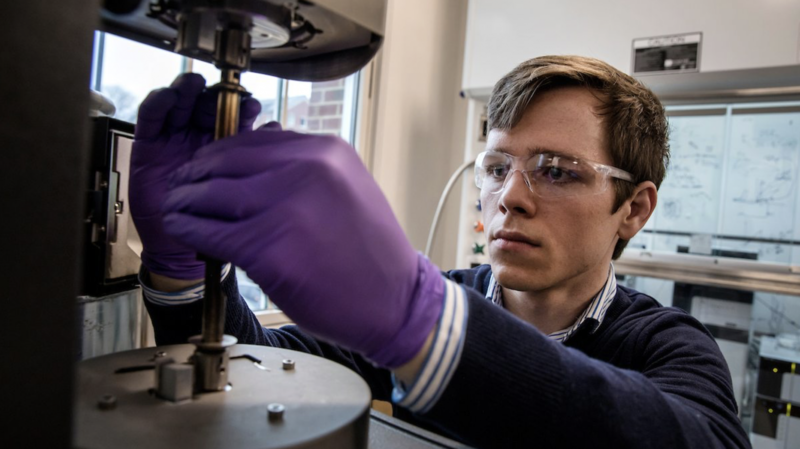 As reported in the survey, Carolina has again surpassed $1 billion in annual research and development expenditures, and the University’s ranking for federal research and development expenditures rose from sixth to fifth in the nation. Of the $1.1 billion Carolina expended in research activity in fiscal 2017, $676 million was sponsored by the federal government through various agencies, with the National Institutes for Health accounting for much of that. For overall research and development expenditures from all sources, the University ranked 11th nationally among all research institutions and sixth nationally among public institutions. The national research rankings are computed annually by the National Science Foundation, and the resulting Higher Education Research and Development Survey, often referred to as the HERD Survey, is the primary source of information on research and development expenditures at U.S. colleges and universities. The survey ranks hundreds of institutions using a uniform methodology developed by the National Science Foundation to establish the amount of university spending on research and development. The latest National Science Foundation rankings cover fiscal 2017. Over the past 20 years, according to University reports, the dollar value of Carolina’s research enterprise has quadrupled. The University calculates that research at Carolina and the businesses that have spun out of the University contribute more than $2.6 billion a year to North Carolina’s gross state product. Carolina research takes place in all 100 counties of the state and in more than 105 countries; most of those efforts focus on improving human health, nutrition, child care, the environment, the economy and education.